Marcia McMahon with the late Princess Diana is of extremely timely benefit for our current world. During this season of unrest in the Middle East, the messages brought forth from Princes Diana offer us wisdom and the comfort of knowing that the celestial forces are not only aware of our strife, but are working diligently to aid us. 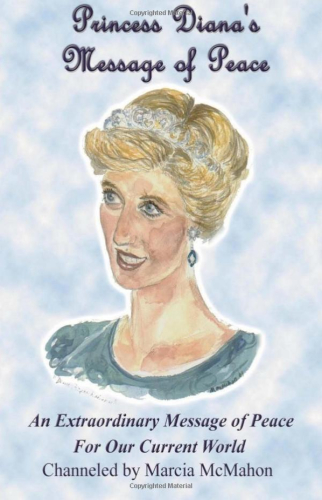 In the passing of years between the receiving of the messages and the publication of the book many of Diana’s prophecies have been fulfilled showing that Diana does know and is eager to impart knowledge to this world. Through her ability to channel (the gift of speaking to the realm of Spirit) Marcia was contacted by Diana in May of 2001. Marcia's first book is a transcription of Diana's messages to Marcia concerning not only the Mid-East situation, but includes letters to her sons, thoughts on education for the new millennium, and astounding thoughts about many aspects of life. For those who wonder about the veracity of material delivered through channeling, Diana's own words offer a wonderful insight: "Truth stands on its own merit, its own accord. The only way to verify the message is to let it resound within your soul, and if it is true, it will resound accordingly. I work through other channels and each one is a filter through which my words resonate. Some are more accurate than others, and all have human faults. In all fairness to the question (how to know if she was really Diana), I can verify the truth of this channel....But the reader must also make up their own mind, and this is so in any endeavor, in anything one reads. Put aside judgments and prejudices as you read my material so that my voice can be heard around the world and within your own heart." 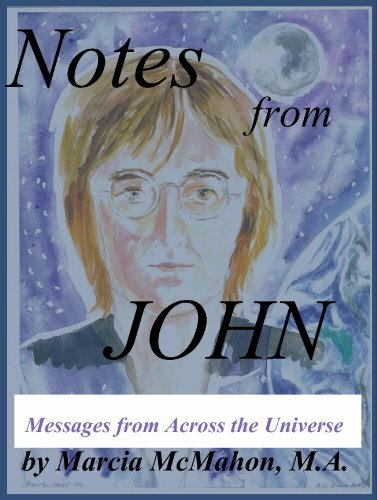 Notes From John: Messages from Across the Universe is a fabulous read. It is pure John Lennon. 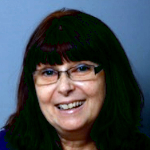 Marcia conveys John's wit, sense of humor, and passion in an easy to read style. Her honesty in telling the story and relaying John's continued message of peace is refreshing. The message is straight and to the point, "give peace a chance." John was courageous in his quest for peace, taking on the US government when they tried to deport him because he spoke out against the Vietnam war, speaking his truth no matter what, and daring others, especially young people, to stand up for what they believe in too. Marcia and Bob Murray are no less courageous in continuing to convey John's message of peace. Let's face it, John Lennon didn't do things in a conventional way, and it is not surprising that he continues to use his voice from "beyond the grave." He once said he would always speak his truth, no matter what. I guess that meant in "death" as well. Although John is channeling his words and music now, it is no less of an impact. The music is great and the messages clear. Marcia has a way of making John's truth resonate, and Bob takes his musical assignments very seriously. The proof is in the end result. People who have no formal musical training could not come up with this on their own. 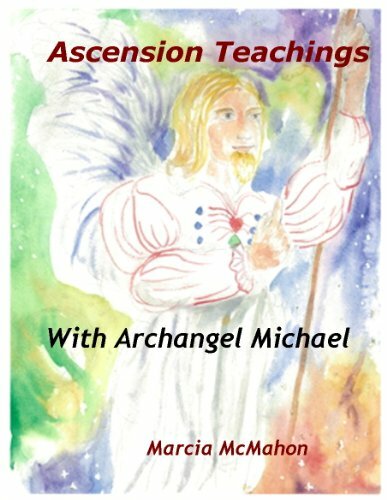 This is a collection of channeled messages in the form of an eBook for those who are curious and want more information on the gateway of 2012, also known as the ascension. Who is Archangel Michael? He is the head of all the Archangels, as his name means “He who speaks to God”! He is all major world religions, and revered by the Jewish faith, the Christian faith, and Islam. Many or most of Archangel Michael's yearly messages read on air on Marcia McMahon's Peaceful Planet radio show on BBS Radio, aired from 2005-2009, were yearly predictions, prophecy if you like. This fascinating seven year account with Archangel Michel and Marcia clearly demonstrates with references events that later did take place. AA Michael tells it like it is and we have a wonderful future as the New Earth beckons in all her glory! A must read for all light worker, peace workers, and all interested in what will happen in 2012 and beyond! As the music still plays, I must tell you that this episode with James Murray as your guest and John Lennon channeled by each of you was my favorite one of your shows. It flowed and made me smile. In fact, I’m still smiling, and I thank both you and James! The music stopped before I finished typing, but I am still smiling. Your music selections seemed very fitting tonight. Also, I enjoyed your program a lot last night. I hurried home to catch it. Your publisher is so sweet and interesting. Her discussion of her novels surprised me, but I am pleased at how readable she makes them with various warm inclusions. I’ll read one sometime and maybe more! Your guest was wonderful to hear on the program while ago. I liked the angelic music that was playing when I tuned in to the station. I intend to look for his books, and I could listen to him more! When he told of being in the tomb, I felt special chills of appreciation for his experience. Going back to your email on Diana, I didn't notice the part about the Sunday time. I'm afraid I cannot squeeze anything more into this week. I need my helper but have been too tired to call him, and I want to get something ready for my brother. I'm also busy praying for a number of people and situations, including the concerns in her message. I'm so glad you found Ed Martin for your program! Very Nice show today Marcia - You and your guest were in your element! Have listened to the show tonight it's just ended it was awesome to hear my friend and Dr Helvie so interesting and so very helpful to so many who suffer cancer. It is wonderful your story, and Dr Helvie so. The hemp sounds a good topic for another show and how interesting apricot kernels. Cancer is in my family, sad, but it's a fact. To be armed with this knowledge Sent powerful in a choice of treatment, well done look forward to the next show ! Thank you for your interesting program. I was distracted here briefly and missed the first nine minutes. Just as I finally got the sound, you were saying that that message was from ...... I'm so sorry to have missed the message and really did want to hear it. I enjoyed hearing your guest and the concept of attachment to a new soul that is completely new to me. I was shocked to hear that we are not all healed in Heaven! I thought we were. It was good to hear Diana's message. I have been worried about the Queen since she had to stay in due to a bad cold. I felt like it was more serious than indicated. I'm also curious to learn the truth of everything but not at anyone's expense. I was listening to you and eager to hear more. Then all of a sudden I woke up to find that the program had ended as I was still holding the phone! I'm so sorry to have missed the very beginning and the end. What I heard was a good program. Thank you! Is there a way I can catch a replay of the message I missed? Have a happy new year! It is something that you got to give your program on New Year's Eve! Thanks for your program tonight. Rose sounds optimistic, doesn't she? It was good to hear both of you. I know I have my plans for this year in terms of goals. Like you I share the perspectives of needs for peace and precautions. I also like Rose's relaying Diana's idea of following optimistic wishes and making a positive destiny. I agree that really we are all one in so many ways. I wish people making decisions could realize that our water is all connected and that our land also needs to be preserved as does our air. Just as you started talking, my cat jumped up on my lap. He listened for awhile. I'll be interested to know what responses you have about the thoughts for our country. I know I have my plans for here and hope to make steps toward accomplishing them. I have felt dismal about doing anything in the wake of drastic changes in our country. One friend today sounded so joyfully full of belief in the county's future because she has a completely different perspective about the election from mine. Somebody last night made a comment to someone else and surprised me apparently with that friend's perspective. How could they! I am especially thankful that you share many of my views. Talking about the new year tonight was especially appropriate and welcome,not that I want this one to end by any means. your voice isn't breaking at all.. and you were very relaxed..
one has to remember that time flies on the radio too! the images above your site \, of Diana, John and M. Teresa are fantastic - who arranged that? CONGRATULATIONS ! I hope St. G. is happier and that this connection will help many others and deepen your relationship w Dr. Werner.